Science‘s John Bohannon has recently revealed the extent of poor or non-existent peer review in some journals that call themselves peer-reviewed, as we reported on here. Now, an open-access publisher based in Rijeka, Croatia, called InTech, has cancelled its journal that was targeted and exposed by Science’s investigation. The journal was going to charge 400 euros to publish the paper by Bohannon. 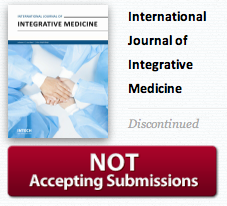 The International Journal of Integrative Medicine has been “discontinued”, does “not accept submissions” and “is no longer active” states the publisher’s website. “We regret to inform you that as of October 4th, 2013, the International Journal of Integrative Medicine is no longer active. Authors who have paid the Article Processing Charge (APC) when submitting their research paper to this journal, will be refunded in full. Articles published in the International Journal of Integrative Medicine up-to-date, will remain available online on the journal’s webpage. For any further information regarding the International Journal of Integrative Medicine, please contact us at iim@intechopen.com. In an e-mail from InTech, which I already reported in Croatia’s Jutarnji List, InTech blames its scientific editors who operate outside the actual firm. InTech accepts a big mistake made by its outside collaborators who had (it is now clear) too much independence in their work based on professional trust …. Because of this, we decided to cease publication of the journal and so protect international scientific community and our collaborators. overarching problem in publishing and the need for stricter supervision of work by outside science editors and peer-reviewers. Congratulations to John Bohannon and to Retraction Watch. May this be the start of a trend. Well, this is too bad for those who submitted legit if low-impact work to that journal- one of the scary prospects with these fly-by-night digital publishers going under for any reason is the potential loss of real science or clinical research. Is there a role for the archive.org ‘archive team’ or similar to catch more vulnerable output before it goes down the memory hole? Worse, one could argue that well-meaning people who submitted their work have it tainted now- not adequately peer-reviewed, but published and thus not resubmittable without ‘self-plagiarism’. It states that any published work will remain available… and any submitted work that wasn’t physically published (even if fees were paid) should still be submittable to other journals, in the same way that I can submit to Nature after my paper gets rejected from PLOS ONE with no ethical problems. So the only problem lies with authors who had their work published in this journal… and my answer to them is as follows: we as scientists must be smart! We have to be careful and submit only to journals that we know have ethical standards! There are open access journals that publish reviewer/editor names! Submit to those and show the world that another legit scientist staked their name to your paper! Or submit to a journal that has a long, strong track record… PLOS ONE seems to be doing mostly OK and allows submission of no-impact articles, so send away! And if you submit to a journal and don’t receive a high quality review, you should probably pull your article prior to final publication and send it somewhere else! (I think this is OK, but I’d have to triple check). Sure, your paper’s ‘up’, in a tainted journal- and who knows how the publisher will do in future given these revelations, threatening even that if servers go dark. Certainly PLOS One and many other open-access journals do far better in their reviews- probably even some of the ‘basement business’ journals that spam my inbox from time to time do so. One of the best reviews I’ve read came from such a journal, probably an adaptation of an MS thesis. If academics push for reform and scrutiny, many journals will not be able to stand the pressure! What justifies the principle of compelling authors to pay to publish although they provide material content and substance ? Don’t journals make money when people visit their sites? I understand your concerns, but both your questions have equally legitimate answers. First, look at it from the taxpayer’s point of view. We (usually) pay for the scientist’s salary and facilities, pay again for the grant which funds the research, pay a third time for the (usually public) entities that pay for the subscriptions to non-open journals, then pay a fourth time in some combination of time and fees to get access to them at our local academic libraries (or pay prohibitive fees to the publisher). In addition to obvious fairness and public cost issues, consider: it won’t be obvious for another half-generation or a bit more, but open access has been part of the biggest boost to public appreciation of science since Sputnik. Sure, we seldom have the right background for what we read on-line, and have all kinds of weird ideas and preconceptions — so we sound dumber than ever. But in fact what’s happening is that the public is asking science questions it wouldn’t even have known how to ask 20 years ago. How would journals make money from people visiting their site? I guess only if they fill it with ads. This means you’d need a CPM of 50-500 dollar, which is probably 50 times higher than most companies would be willing to pay. Which, in turn, means at least 50 ads for your single view of a paper. I think I’ll pass on that concept. No, they lose money- servers and bandwidth are not free. Nor is typesetting, editing, etc. Some journals (Biotechniques for example) can make their dime from ads but they are a minority. The only other option is to close access and make people pay for access or have deep pockets. That said page charges for closed journals are annoying, but the professional typesetting and editing does cost everywhere. I’d agree for closed, for-profit publishers that these charges could be better absorbed. like you within your field. be disclosed upon final chapter submission. the payment of an Article Processing Charge (APC). Please let me know if you are interested in participating in this project. reputation could be at least a partial quality guarantee. find them to be utterly unconvincing. not expect me to reply in the future. > Thank you for your e-mail and for supporting Open Access. > I would like to reflect on some of the problems you have raised. their work through the usual channels. > more than 3.500.000 chapter downloads from all over the world. 4) read the paper for free in its entirety. be included in them. Many disreputable ones will be as well. > process and final quality of our publications more than satisfactory. > – Dr. XYZ3, University College London Hospital. exchange to all 3 of them, asking for their opinions? > quality of the book. credentials would hardly attract other researchers. > I look forward to hearing your thoughts on this particular matter. authors to invite for many more collections. To compliment, journals that publish the entire peer-review chain (e.g. F1000Research) make it easy to spot how good the review process was, and if some poor paper squeaked through. In this technology age, these approaches should become more universal, both in open and subscription journals.